Photo above courtesy of Thinkstock. All other photos courtesy of A Cruising Couple. These were the first words we heard from a fellow traveler in Bali who had just returned from Ubud. And honestly, they were not only confusing (what is 'bunny yoga' anyway?) but they were also disheartening. Our worst fear was that the world-renowned cultural center of Ubud had been reduced to expats at expensive yoga studios and souvenir shops. But much to our delight, our journey would lead us to discover a very magical atmosphere among the rice terraces and temples of this spiritual Mecca. PHOTO: Children playing in Ubud. Ubud is special in that it forces you to connect, with locals as well as with yourself. The town is small, consisting primarily of just two main roads. If you stay for more than a couple of days you’re bound to run into people you recognize, and when conversation ensues in Ubud, it always results in friendship. The residents here know how important it is to provide a community to one another. You won’t get haggled here like in other parts of Bali. The shop owners and street vendors are genuinely nice and we felt the difference throughout our stay. PHOTO: Legong Dance at the Royal Palace. 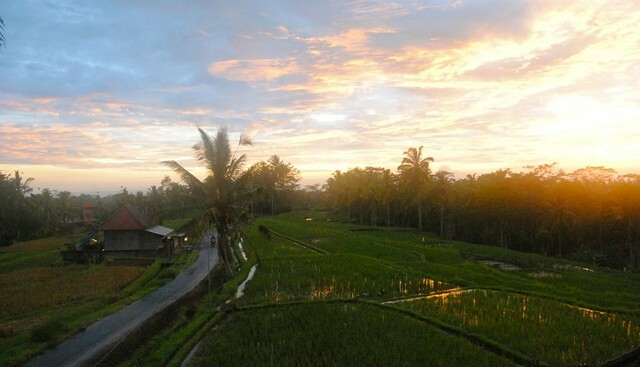 Even with the rise of tourism in Bali, Ubud has managed to stay true to its roots. The quaint pavement guides your feet past lush gardens and temple walls. The practice of traditional dance at the Royal Palace and the fine handcrafted artwork that is sold by legitimate artists adds to the authenticity that makes Ubud such a treasure. 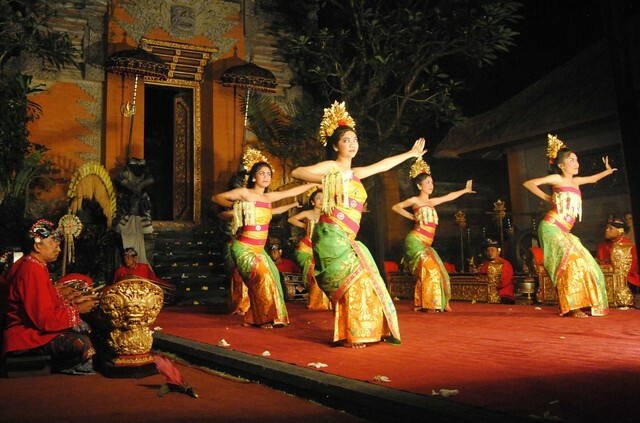 The Royal Palace puts on a beautiful Legong Dance that not only attract international tourists, but also the local Ubud residents who turn out to enjoy the impressive show. The show costs 80,000 IDR (around 8 USD) and starts at 7 p.m., although you’ll want to arrive early to get a good seat. The Palace features different shows every night. We recommend the classic Indonesian Ramayana dance, which includes a live 30-piece gamelan orchestra and dancers who have been training and dancing since they were children. The Ramayana dance is featured every Tuesday. There are also numerous museums and art galleries throughout town that are definitely worth a visit. The Puri Lukisan Museum, Neka Art Museum and Agung Rai Museum of Art (or ARMA) offer a unique look into Balinese culture through the paintings of famous Balinese artists as well as others from around the world. The Neka Art Museum showcases classical puppet figures, transitional style paintings, and regional differences in art from around the island. 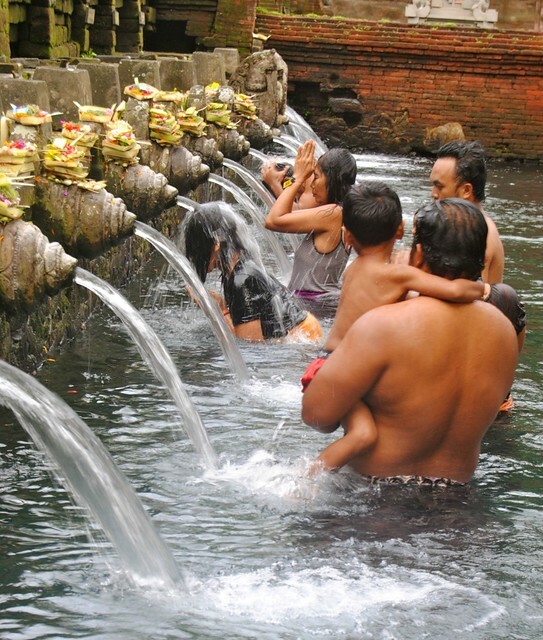 PHOTO: Locals bathe at the Holy Water Temple. The Holy Water Temple, not far down the road from the city center, is a testament to the beliefs that have been passed down for hundreds of years and continue to shape the lives of the people who live here today. The presence of the Sacred Monkey Forest is a symbol of the commitment of coexistence of humans and nature. There have been 115 separate species of trees identified within the forest. Some of these trees are considered holy and are used in various Balinese spiritual practices. Examples include the Majegan, which is used exclusively for the building of shrines, and The Berigin, a sacred tree whose leaves are used in cremation ceremonies. The Pule Bandak, one of the most significant trees in the forest, is a tree that embodies the spirit of the forest, and is used to make powerful masks. 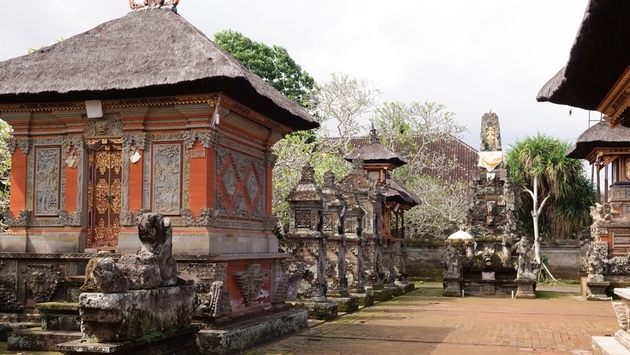 The Monkey Forest also contains the Pura Dalem Agung Padangtegal Temple, as well as a "Holy Spring" bathing temple. Of course the biggest draws to the Monkey Forest are the long-tailed macaques that call the forest and its temples home. There are over 600 monkeys in the Sacred Forest as they are considered sacred and protected in Bali. A word of warning: although you are able to feed the monkeys and they may seem cute from afar, don’t expect to hold on to any food for too long. Many travelers have lost precious items to these curious animals. PHOTO: Rice fields around Ubud, Bali. If there were ever a place in the world to escape and connect with your inner self, that place is Ubud. With relaxation from spa treatments to guided meditation to endless fields of rice to lush green nature, Ubud is the perfect place to disconnect from the world and reconnect with yourself.